What's in the Best Joint Supplement? What to Add to Your Diet for Joint Pain? What do scientists say is the best joint supplement and to add to your diet for joint pain? Because the medical treatment for arthritis -- osteoarthritis and rheumatoid arthritis -- is only marginally effective, researchers have tested foods and supplements to determine the best joint supplement you can use. Scientists are looking for natural remedies for arthritis to find safe alternatives to steroids and NSAID’s (nonsteroidal anti inflammatory drugs), which are not safe, and for acetaminophen, (Tylenol) which is hard on the liver. 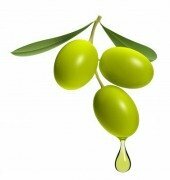 Extra virgin olive oil not only protects your heart and brain, but also among the best natural remedies for joint pain. Olive oil is known to be an anti inflammatory, so researchers set out to see if t works for restoring the knee joint to normal after injury. After injury, or “wear and tear,” a joint produces less of a protective substance called “lubricin.” This then sets the stage for the degeneration of the cartilage, and for osteoarthritis. When they measured how well the joints of lab animals recovered after injury, they found that exercise combined with extra virgin olive oil, restored their cartilage back to normal. The researchers, as a result, recommend both exercise and olive oil together, to preserve the cartilage in the joints, to protect them from deterioration. You may be surprised this can help even for finger joint pain causes! Dr. Harry's Best Joint Supplement! You may want to add proven joint pain remedies if you already have arthritis. You don’t need to buy one bottle at a time to find out what works for you! 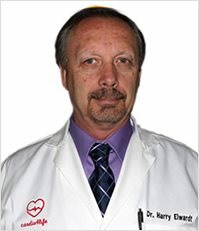 Dr. Harry Elward, a naturopathic doctor with a PhD in Health and Nutrition has combined proven natural remedies for joint pain and flexibility. Get the bounce back in your step and in your life! Also, add Dr. Harry's topical JOINT PAIN GEL for arthritis pain. Powerful anti-inflammatories giving fast temporary relief from ARTHRITIS PAIN, KNEE PAIN , JOINT PAIN, BACK PAIN, and SORE MUSCLES. 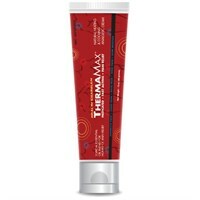 Need FAST, immediate natural PAIN RELIEF? 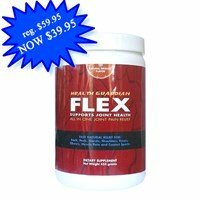 Use with the best joint supplement for healing of your joints! Expect more relief with natural remedies for joint pain. Try it to discover what is possible for YOU, to re-build and re-store for flexibility and rejuvenation! We hope that you have been inspired not just to try natural remedies for joint pain, but to expect more! Expect to need fewer or no pain killers – steroids, NSAIDs, or acetaminophen (Tylenol) which will eventually compromise your health. Expect to re-build and rejuvenate your joints! Certainly start with exercise and adding extra virgin olive oil to your daily diet. This will protect your arteries, your heart and your brain as well. By adding a supplement for joint pain you will have the best bet for rejuvenation and fast pain relief. You may be surprised with this knee and elbow joint pain treatment, and best help with finger joint pain causes! We wish you success in discovering your best natural remedies for joint pain. 1. Extra-virgin olive oil diet and mild physical activity prevent cartilage degeneration in an osteoarthritis model: an in vivo and in vitro study on lubricin expression. J Nutr Biochem. 2013 Dec;24(12):2064-75.